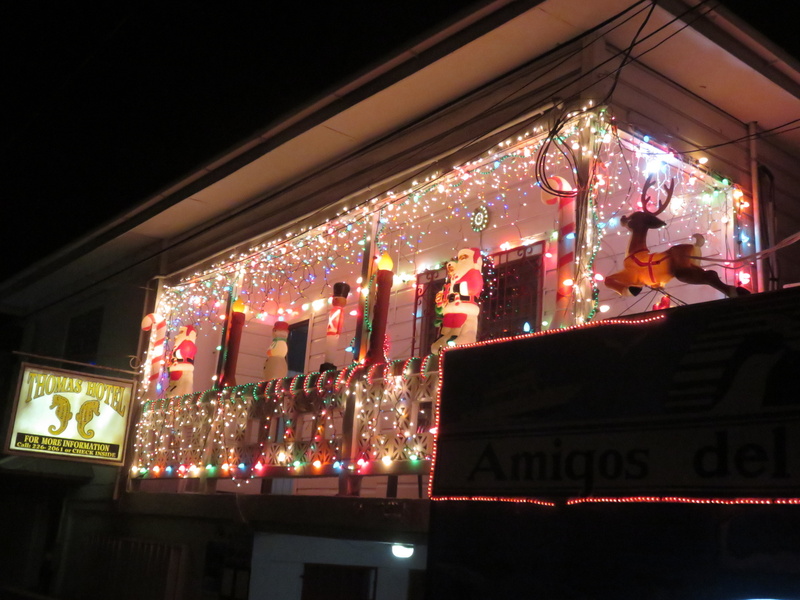 I am no Scrooge – I’m a pretty big fan of Christmas no matter where I am. 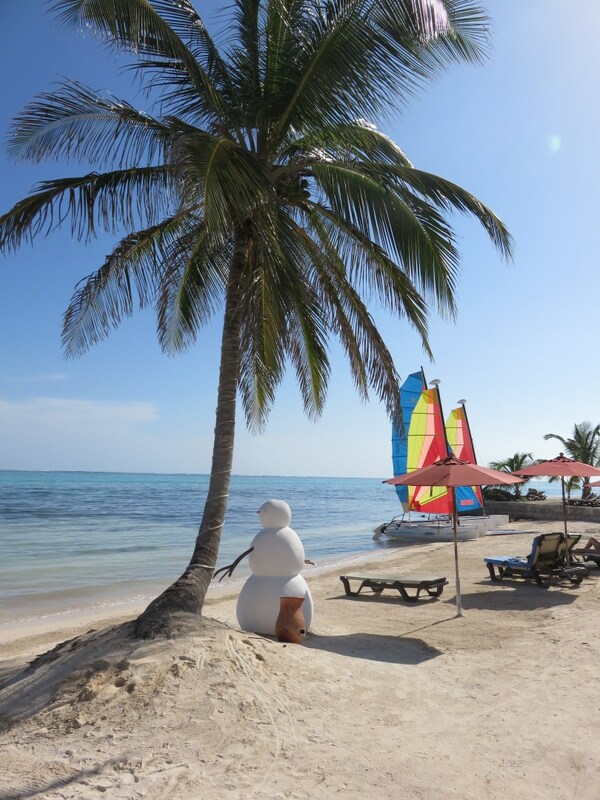 I have now lived in Belize for over 8 years – and have spent each Christmas here on Ambergris Caye. I also spent the 33 previous Christmas seasons in the US…New Jersey to be exact. 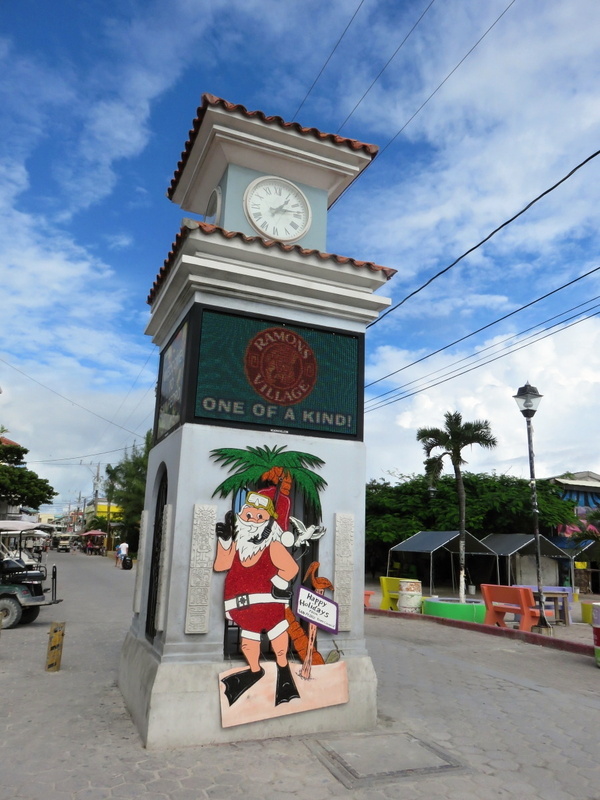 And while I do miss some things from the states, like iced cold egg nog that you can buy in the supermarket, the smell of a real Christmas tree and gaining 10 holiday pounds eating pigs-in-a-blanket and cookies, I love LOVE Christmas in Belize…and the whole month of December. And here are a few reasons why I do. 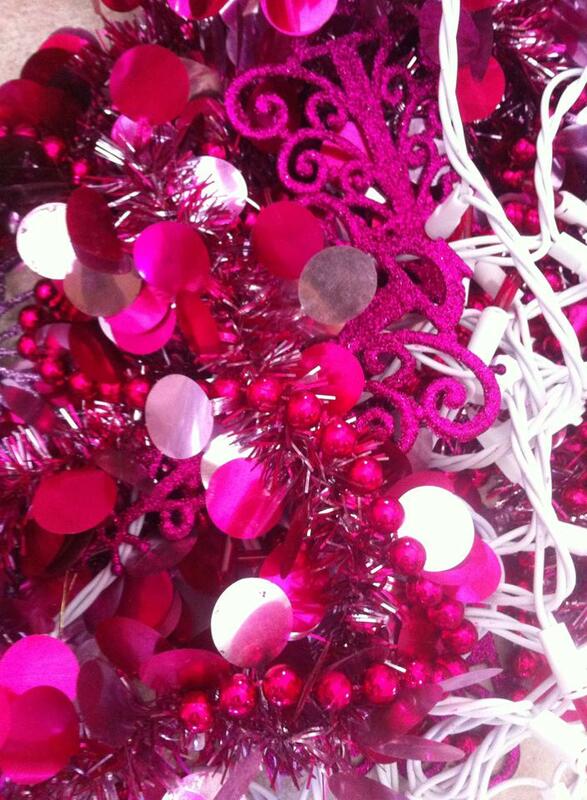 For adults, Christmas Eve is a proper holiday, Christmas Day is a holiday, BOXING DAY (the day after) is a holiday. In fact, very little work gets done in the latter half of December. Maybe it’s most magical because you can drive around and enjoy it while in a golfcart wearing flip-flops, but I don’t think so. 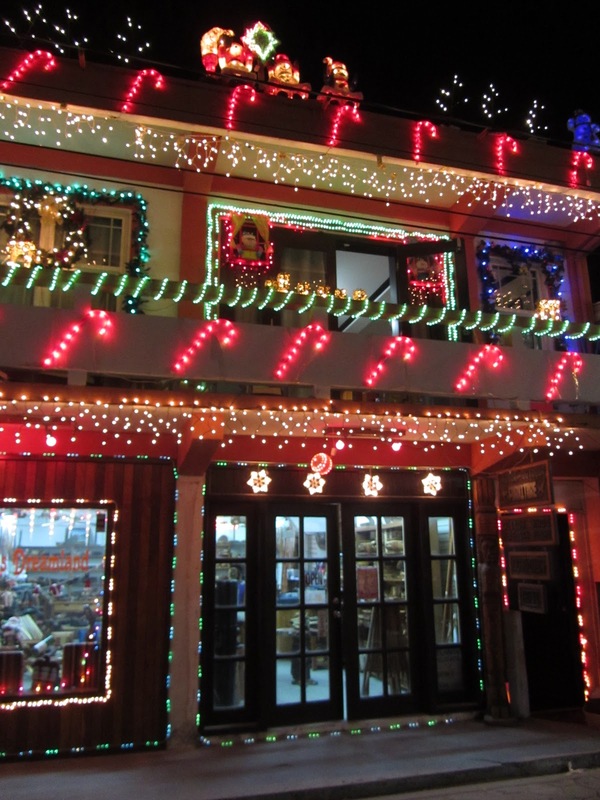 Even the simplest homes light up…and the town does a great job of decorating. Make sure to rent a golf cart and take a ride around town one evening…I just love it. 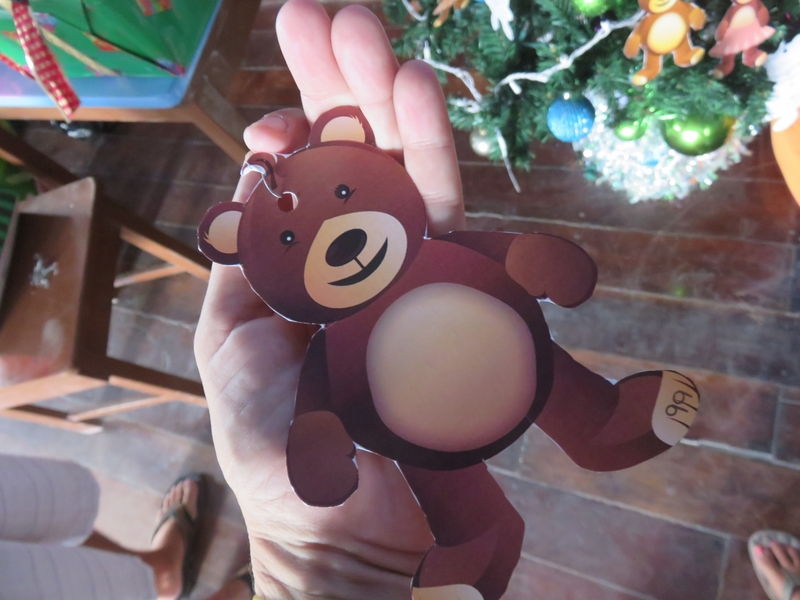 This year, I picked up a bear at Sandbar to fulfill a Christmas wish for a kid I don’t know…but one who really deserves one. And I’ll pick up a few tiny things…but that’s it. Stop by and pick up yours! 4. 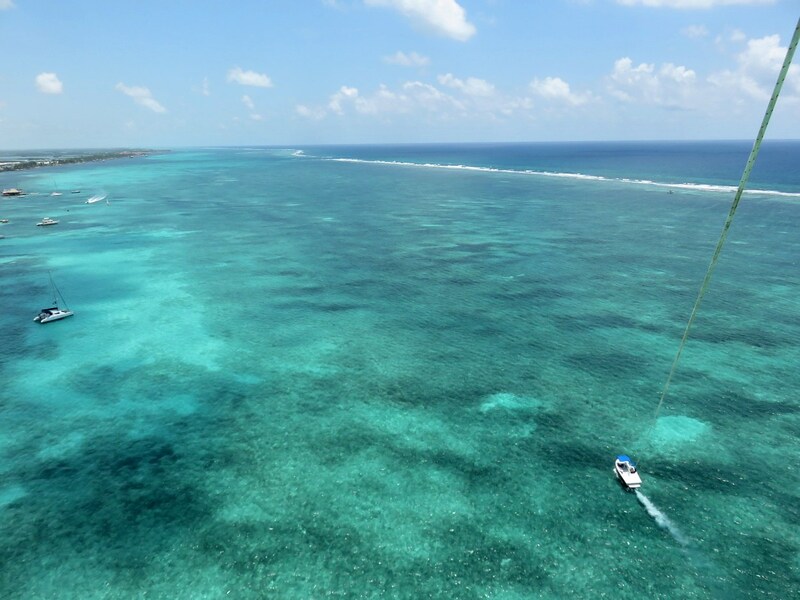 You Can Go Diving, Snorkeling, Swimming, Tanning, Caving or Fishing on Christmas Day – IT’S WARM! Even Santa is in his bathing suit. Or he has dread locks. All the tour companies, bars and restaurants are open and even as excited to see you as you are to see them. The slow season is over! Forget your ugly Christmas sweaters, the temperatures are in the high 70s at night and the 80s during the day. 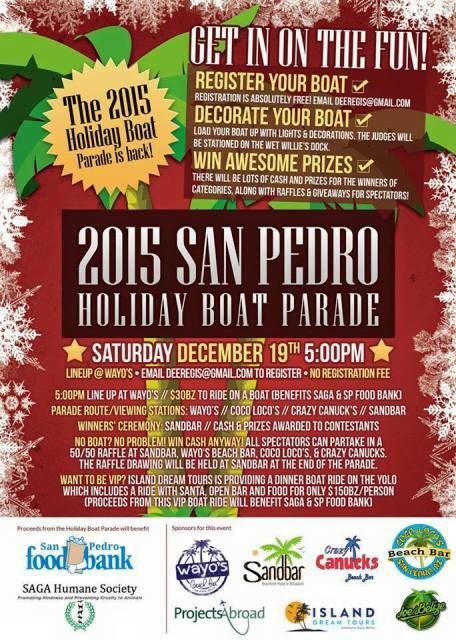 San Pedro celebrates with two parades – one on land and one on the sea. 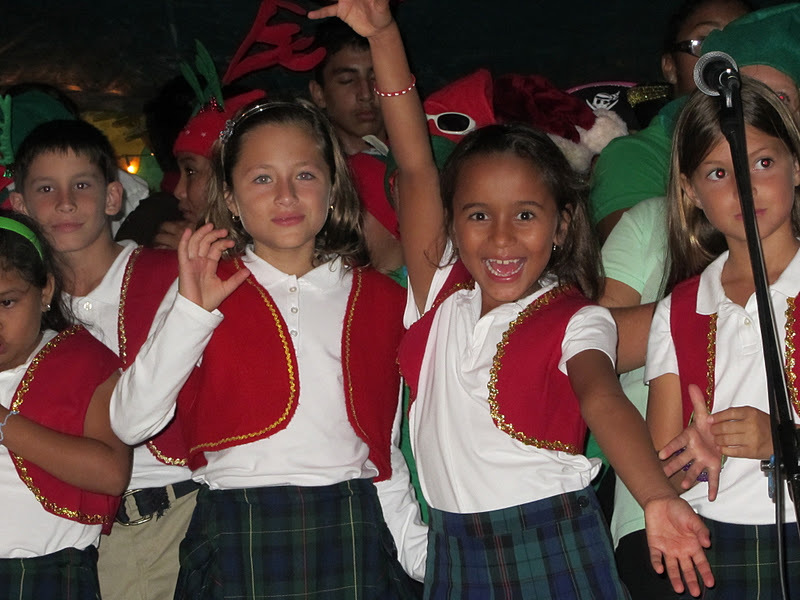 We just experienced the evening street parade…and you can see NUMEROUS pictures on yesterday’s post. It is as cute as cute can be. A true family affair. 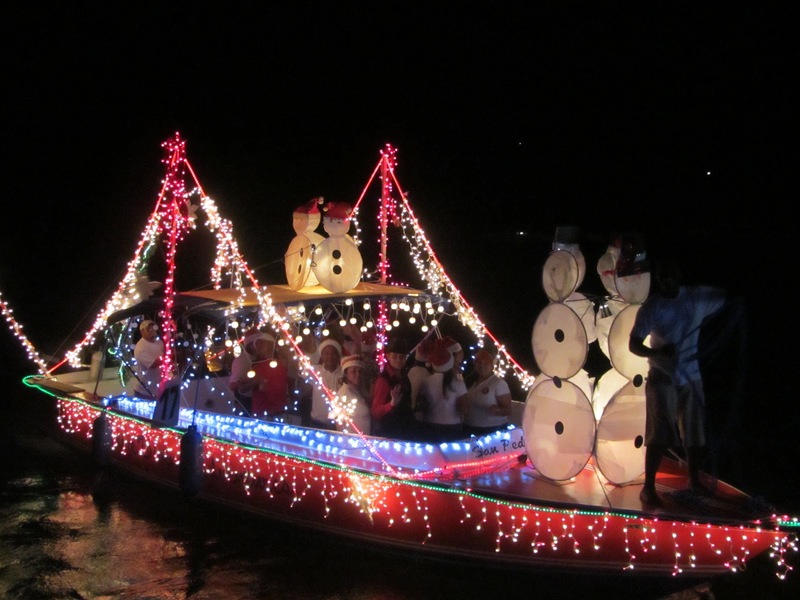 And coming up this weekend, the yearly LIGHTED BOAT PARADE! Here’s the official flyer. And here’s a bit of what we can expect. 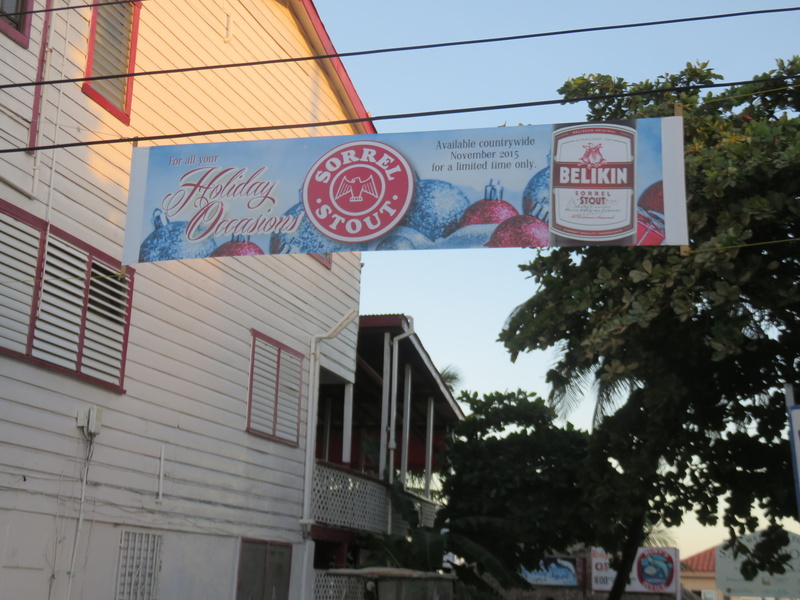 While, maybe, enjoying the special Christmas Belikin that comes out for the holidays. 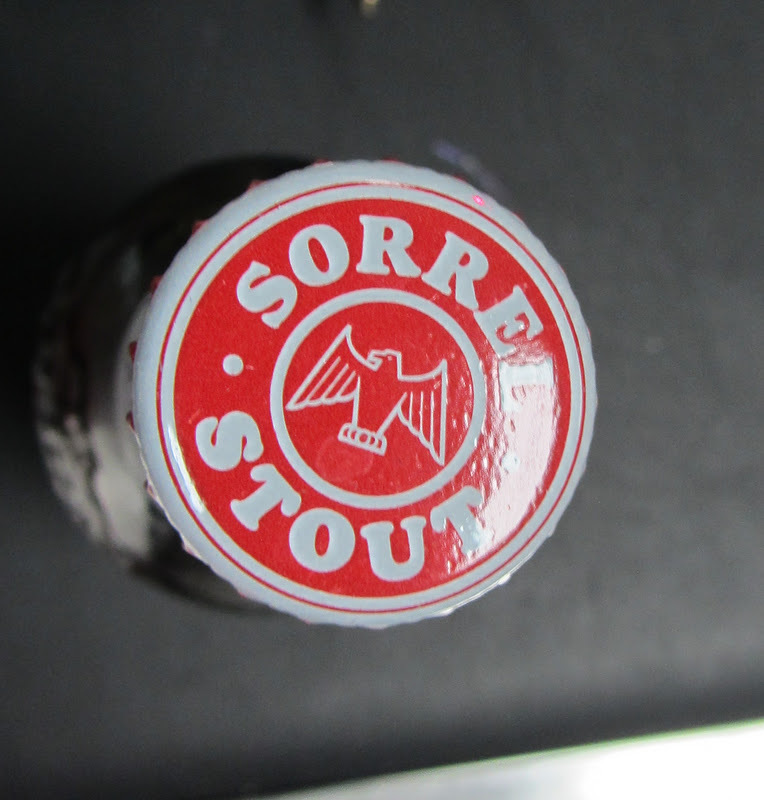 Belikin Sorrel Stout. 7. If You are Going to Have a Fake Tree, You Can Go ALL OUT! 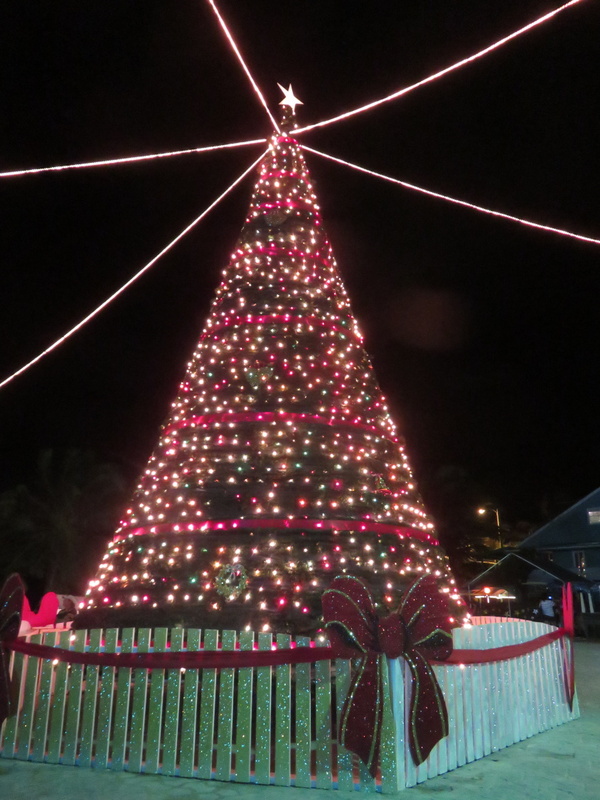 Or…some of the gorgeous conch trees that some resorts are assembling. Awesome. Here’s the Conch and Palm Tree up at Tranquility Bay. 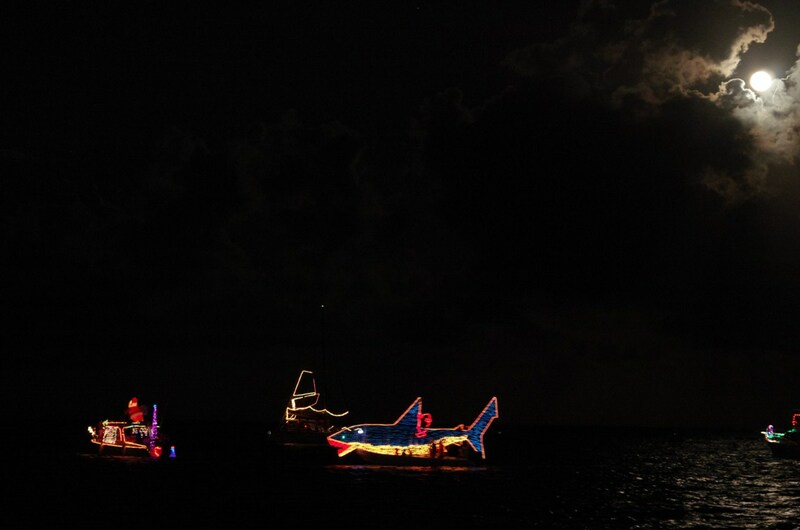 That’s all I can think of for now…but the bottom line is that you are somewhere relaxed and festive and warm. 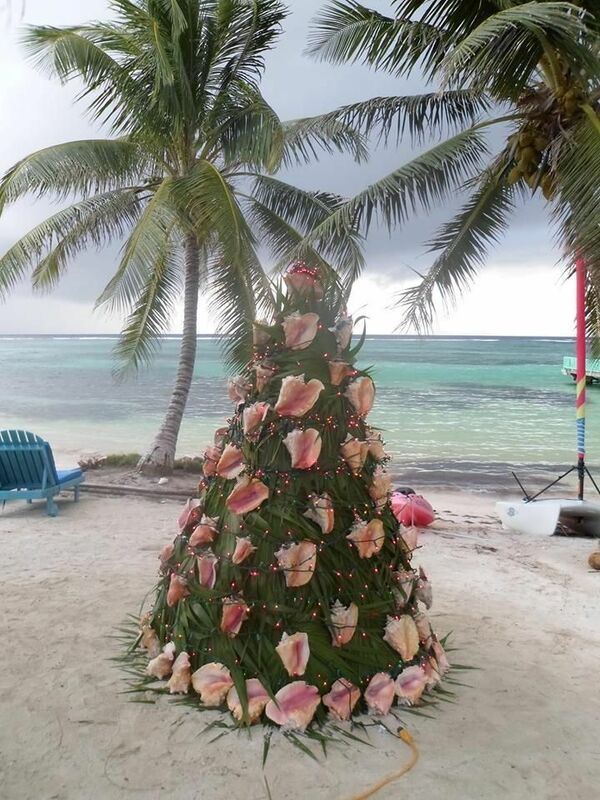 I love Christmas on Ambergris Caye. 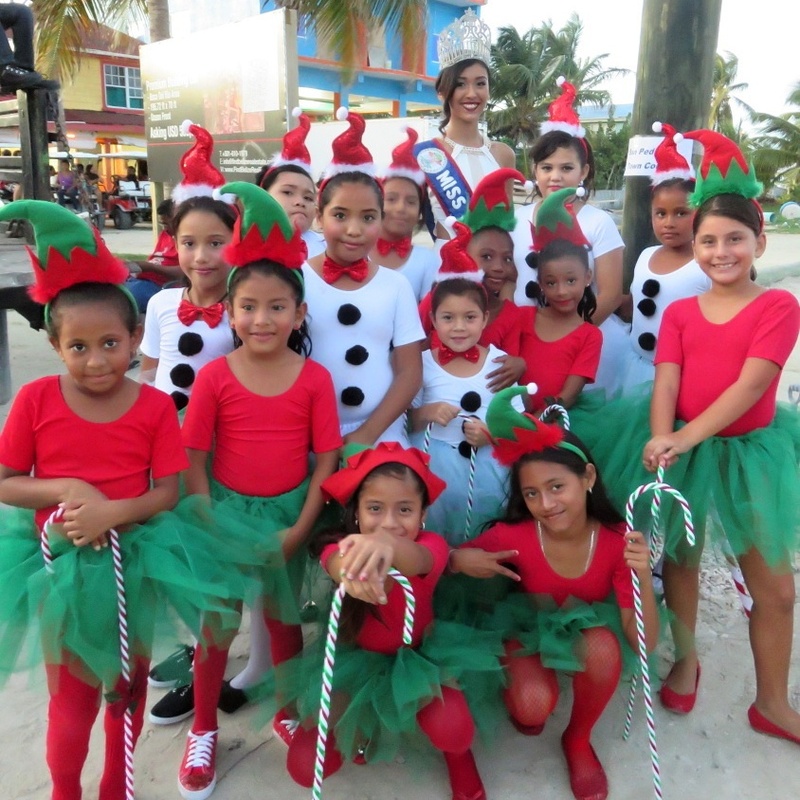 I cannot wait to spend next Christmas in San Pedro. I just wish I could spend the entire month! Next year we will be there for all of December! Can’t wait!!! I can’t wait to get down there! Maybe next year. I’m seriously thinking about selling my boat just so I can buy that little beach. 41…wow i wouldnt have expected that…..! 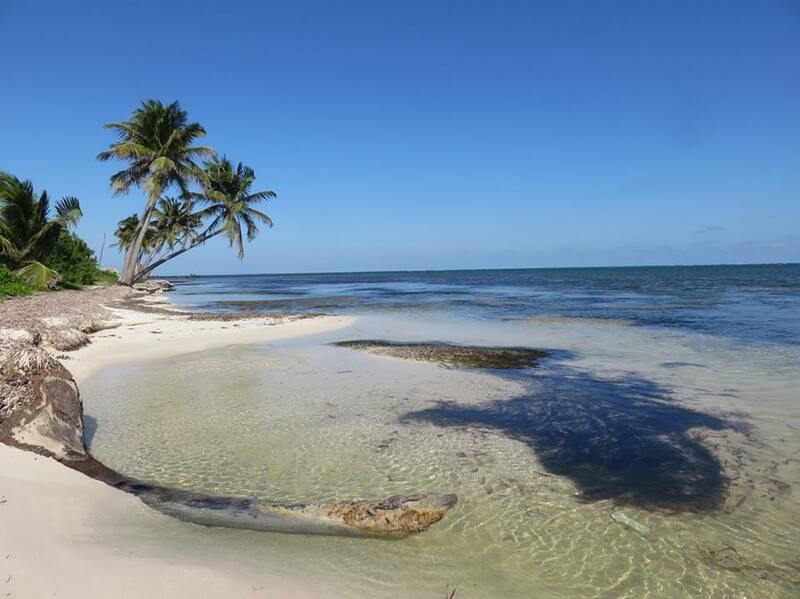 My Bucket List: Moving to Central America, I’m researching the best places to live, is it possible to live on $1000 a month? I’ve read articles stating just that, is it true? I live in Montana and tired of 9 months of winter!